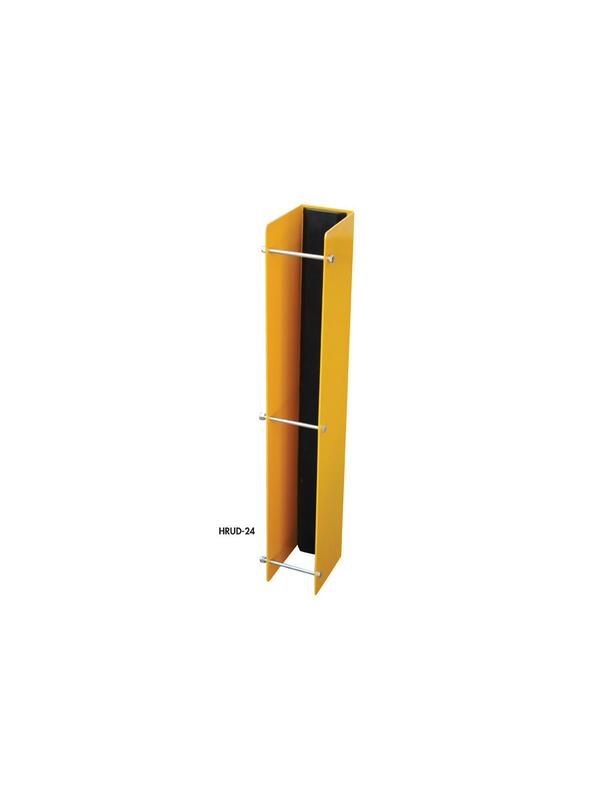 Rack Guard With Rubber Insert (No Anchors) | Morrison Industrial Equipment Co. Protect pallet racking with durable wrap around protection. Increase pallet rack column strength on impact made by over 100%. 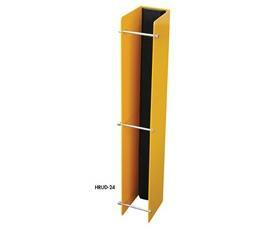 Fits pallet racking measuring 3-1/8"W x 4-1/4"D opening size. Includes rubber shock absorber and hardware. 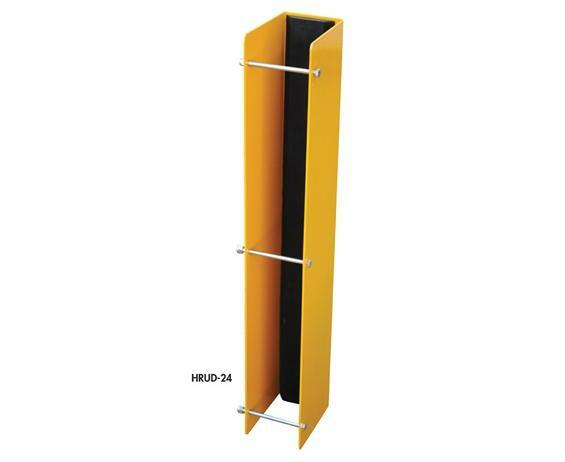 Easy to install with wrench or socket -- no concrete drilling required. Safety yellow powder coat finish. Overall size measures 3-5/8" W x 4-7/8" D. FOB Shipping Point. Usable opening with bumper - 3-1/8 x 4-1/4".